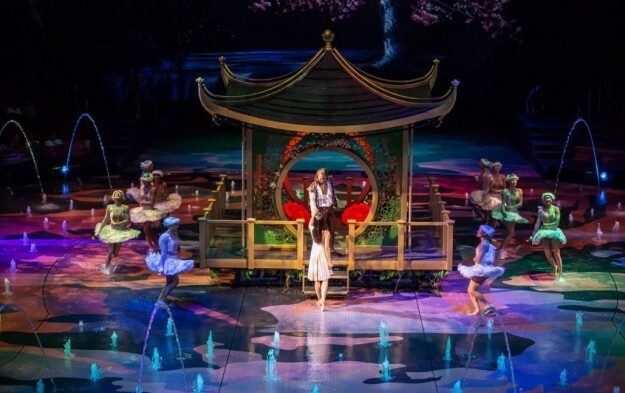 Macau casino operator Melco Resorts and Entertainment Ltd has confirmed to GGRAsia that it is suspending performances of its long-running show The House of Dancing Water for around two months. The House of Dancing Water is based at the City of Dreams complex, a casino resort in the Cotai district of Macau. The show’s online schedule indicated there would be no performances from February 12 until April 24 inclusive. The spokesperson said more than 5 million people had seen The House of Dancing Water and described it as Macau’s favourite show since its 2010 premiere. The House of Dancing Water is the longest-running resident show in Macau and is the work of Italian-Belgian director Franco Dragone. Last month, Melco Resorts chairman and chief executive Lawrence Ho Yau Lung said Elēkrŏn, a new non-gaming offering at the firm’s Studio City property – described by him as a car stunt show – would be less susceptible to displaying “cultural insensitivities” than some previous non-gaming entertainment in the Macau market.